Are you planning to replace your roof to provide your exteriors with a fresh new appearance? Take into consideration the way your roofing would match your landscaping. When it comes to making the right connection between your home and your garden, these two should complement each other. The best way you make sure that your roofing in Tinley Park, IL, goes well with your garden is by considering the color, shape, and texture of your replacement roofing. • Color – The roof can come in a variety of colors. Some can easily match the exteriors while others can create a continuity of color. To ensure a good color connection, think of your planting scheme first. Against the backdrop of foliage, metal roofing that comes in brown or orange coloring can easily complement the surrounding trees. 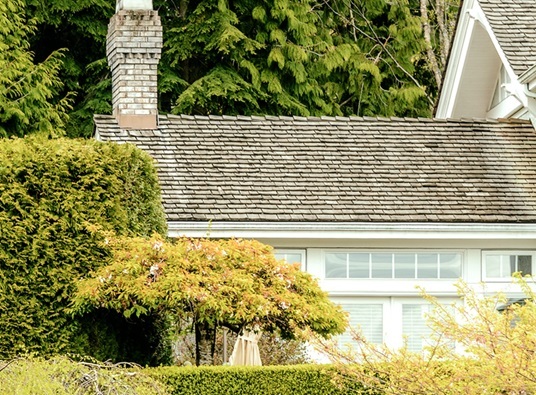 • Shape – If your roof features a prominent shape or pattern, you can use this to accentuate the connection between your home and the landscape. Select the shape that will best suit your home. • Texture – Various roof materials come in a wide selection of colors. By choosing the right texture for your home, you can create a unique look that will stand out from the other houses in your area. The texture can either highlight your landscaping or create a connection between your exteriors and the garden. Make the most of your roof replacement project by making sure that you’re going to select the roof that comes in the right color, shape, and texture. If you need help with getting the right Dyer roofing that can match your home’s exteriors and landscaping, consult Rogers Roofing. We will make sure to provide you with a great contracting experience unlike any other. Call us today for a free estimate. You may also submit an online request.